Streptomyces thermophilic bacteria. 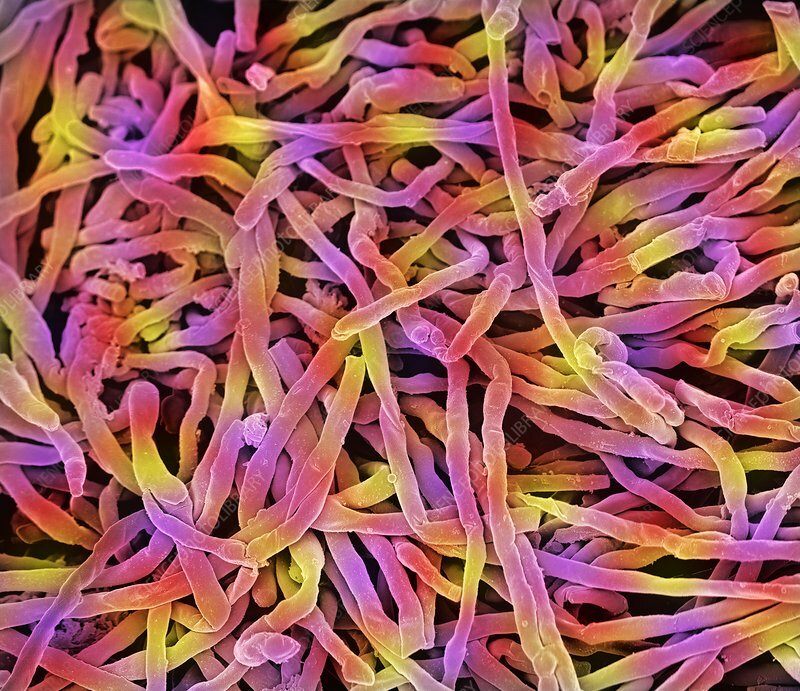 Coloured scanning electron micrograph (SEM) of strands of Streptomyces thermoviolaceus bacteria. S. thermoviolaceus is a filamentous thermophilic actinomycete bacterium, found in the soil and on decaying wood.